AMZGame is pleased to announce that Empire: Revenant will be releasing an alpha server. 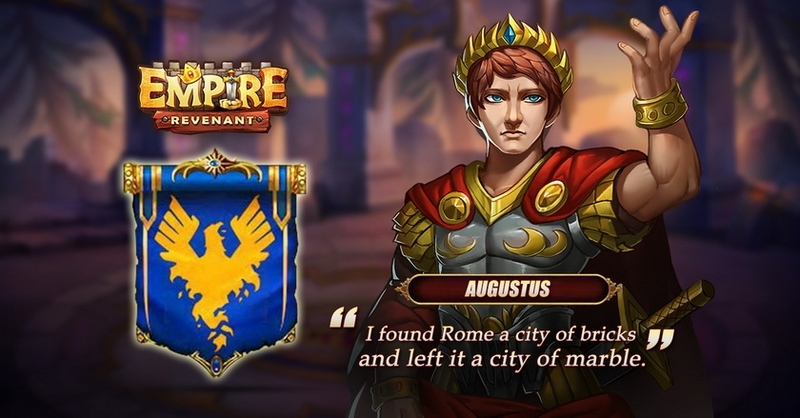 Empire: Revenant is a free-to-play strategy browser game using a turn based system that utilizes figures from ancient history and mythology to engage in epic PvE & PvP battles, including faction vs. faction warfare, and guild vs. guild challenges. Create your army by choosing from more than 60 different historical world leaders and an ever growing collection of weapons, armor, mounts, guardians, and unique skills. Take your place as a great leader by completing quests and accepting character defining challenges. Prove yourself in the Challenge Tower (up to 25 battles) and Final Stand (100+ battles! ), Pitched Battle, Frontier Defence, Monster Tower and more! Your legacy will not be decided by simply winning or losing… but by the magnitude of your triumphs and the gravity of your defeats! Upon testing completion, the alpha server will be reset.